I recently tackled the back to school shopping for my 7th grade son. When I was in 7th grade, we were still a year away from getting a computer at my house. Even when we did, I definitely never used it for homework. My son has access to computers in all of his classrooms and is allowed to bring a laptop, tablet, or smartphone to use for note taking, studying, and research. In fact, according to a recent Microsoft survey, 92% of parents say teachers expect teens to have access to technology to complete work outside the classroom. So, as you can imagine, his back to school shopping list does not look the same as mine did when I was 12. (No Trapper Keeper?) Flash drives weren't even invented until I was in college, but my son needs one so that he can bring his work home with him to finish on our PC. Although it isn't typed out on the list, it is almost impossible to do a good chunk of his homework without programs like Microsoft Word and Power Point (the survey also said that 70% of students today use software like PowerPoint to create presentations). Even my daughter used Microsoft Word and Excel for her projects last year, and she was only in the 3rd grade. They always have the option to stay after school to use computers there if necessary, but I like to have my kids work on their homework at home. I also like to proofread the final product before they turn them in to their teachers. All of the projects, proofreading, and bringing homework home is made a lot easier with Microsoft Office 365 Home Premium. It offers all of the tools you will need to succeed, like Word, Excel, OneNote, PowerPoint and more, and with SkyDrive (the cloud) you can easily access and share your work no matter where you are. This especially helps when you have a child that likes to lose their flash drive. And it isn't just handy for the student! Now it doesn't matter if I am feeding my 9 month old in the kitchen or upstairs in my office, I can review my son's homework without having to hunt down his assignment. Office 365 Home Premium also has a back to school shopping template with a section for to-dos and supplies to purchase. Very handy when you have multiple kids and multiple lists like I do! There is another template that helps manage your back to school shopping budget as well. You can even take it a step further with Windows 8 apps like Office Depot that can help you find where to make those back to school purchases. That saves time and gas! And the features that help me don't end there. With three school schedules, my own calendar, and my husband's busy work schedule, the organization tools from Outlook really help keep things on track. The color coded calendars allow me to easily view where everyone needs to be and helps insure we don't forget to finish the Science project along the way. I might have to add a note to remind me to cook dinner too! 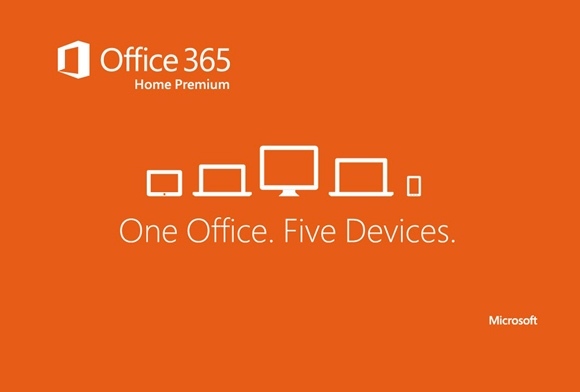 A 1 year subscription to Office 365 Home Premium is $99 and includes the latest Office applications on up to 5 devices (PCs or Macs), plus 20 GB of Sky Drive storage and 60 anywhere minutes with Skype. Plus, with Office 365 you can access your Office documents anywhere with the Office Web Apps, Office on Demand, and the cloud on Sky Drive. Anywhere you have an internet connection you can get your work done! If you have a student heading to college, they can get Office 365 University, complete with 20 GB of free SkyDrive storage and the ability to fetch any file they may need that they left on the home PC! A 4 year subscription is only $79.99! Want to enter for a chance to win either a one-year subscription to Office 365 Home Premium or a Surface Pro? Go check out the Office Back to School Throwback Sweepstakes (August 15th through September 27th) and submit a "throwback" picture here on the Office Facebook page of yourself from back in the day! Then share it on Facebook or Twitter (#tbt + #officebts) to let your friends in on the fun! One-year subscriptions of Office 365 Home Premium will be given away every weekday and a Surface Pro will be given away every Thursday, on "Throwback Thursday"!